RCMP say a fire in Woodbine Park in Beaver Bank last week is suspicious and under investigation. The fire at 406 Glen Rise Dr. broke out on Jan. 29 around 12 p.m.
Cpl. 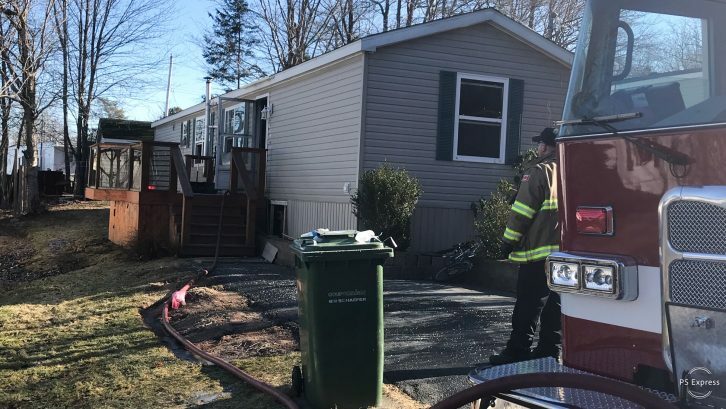 Lisa Croteau, spokesperson for Halifax District RCMP, said Friday the RCMP is leading the investigation, with help from the provincial fire marshal. “The fire was extinguished quickly, and significant damage was done to the building,” Croteau said in a statement Friday. Halifax Regional Fire and Emergency Capt. Greg Hebb told The Signal the homeowners were not home when the fire started. No one was injured. Anyone with information is asked to call 902-490-5020. Anonymous tips can be made to Nova Scotia Crime Stoppers at 1-800-222-TIPS (8477), www.crimestoppers.ns.ca or the P3 Tips App.